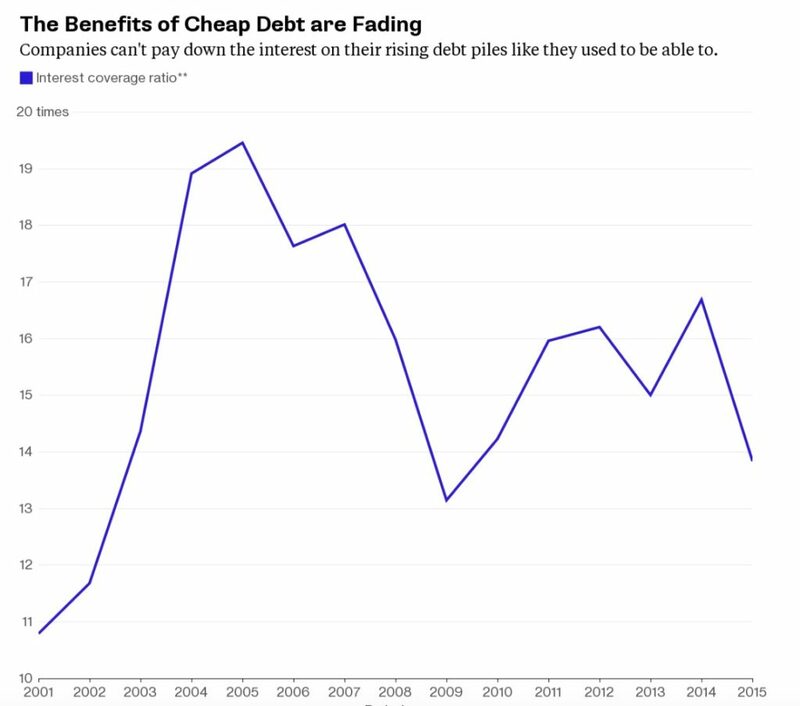 I don’t comment frequently on the state of financial markets these days, but the following article from Bloomberg really grabbed my attention. It relates to interest coverage ratios across corporate America, and quite frankly, I was stunned to see how badly balance sheets have deteriorated during the recent pitiful cyclical economic rebound which I have dubbed the oligarch recovery. It’s more expensive for even the most creditworthy companies to borrow or refinance even as the Fed has kept its benchmark at near-zero the last seven years. 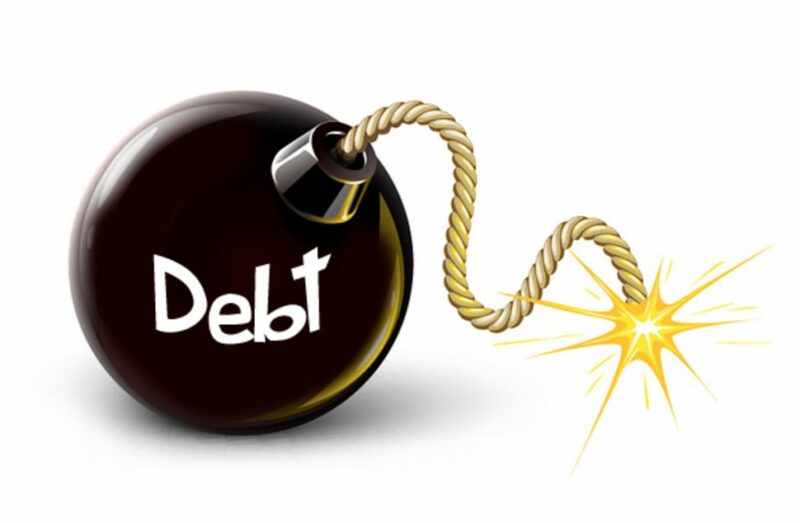 Companies have loaded up on debt. They owe more in interest than they ever have, while their ability to service what they owe, a metric called interest coverage, is at its lowest since 2009, according to data compiled by Bloomberg. Think about how terrifying this is for a moment. 2009 represented the nadir of a devastating economic and financial collapse. Earnings had plunged, and as you might expect, interest coverage fell into the gutter. This was a cyclical low, and so that sort of thing should be expected. The reason the current situation is so concerning, is because we aren’t in the nadir of an economic cycle at the moment. In contrast, we are constantly told how good things are going for the U.S. economy. All the while, the Fed funds rate is still stuck at near zero, with clueless central planners completely terrified to raise it a mere 25 basis points. Despite all this, the interest coverage ratio is near the 2009 low. Can you imagine what it’s going to look like when the next economic downturn really gets going?